Two of our employees who developed problem-solving skills through Enactus reflect on their experiences. 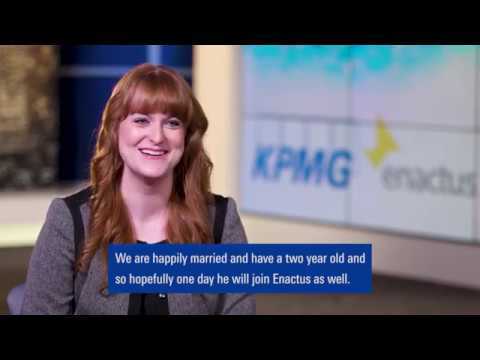 For more than two decades, Enactus has been an integral part of KPMG's citizenship programs around the world. Together, we help mobilize students to make a difference in their communities, while also developing the skills that will enable them to become the next generation of socially responsible business leaders. 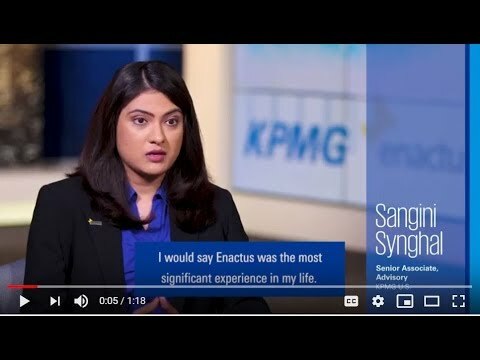 In celebration of the 2018 World Cup that recently took place in San Jose, California, we identified a few individuals who participated in the Enactus program during their college careers and who now work at KPMG and solve problems. Here are their stories. Jeni Smith, senior manager, Audit, St. Louis. For additional information or to arrange interviews with Enactus alumni, please contact Brandon Hatler. This is the tenth consecutive year that KPMG has been included in the Top 25 list. KPMG’s content hub for reporters, editors, bloggers, and influencers.